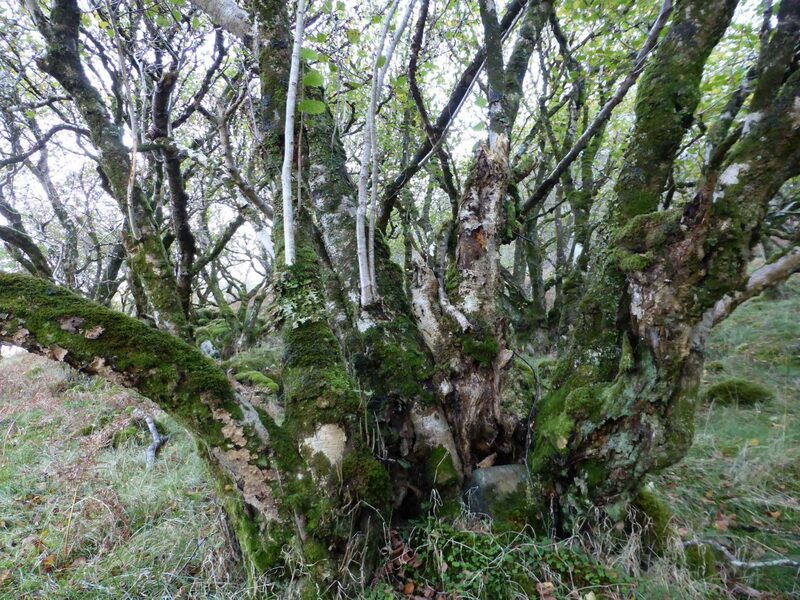 During the autumn Gwen has been describing and measuring selected hazels in the woodland at Cnoc nan Each (NC1021/1121), as a contribution to the CALL Atlantic Hazel Woodland project being carried out by Roz Summers. 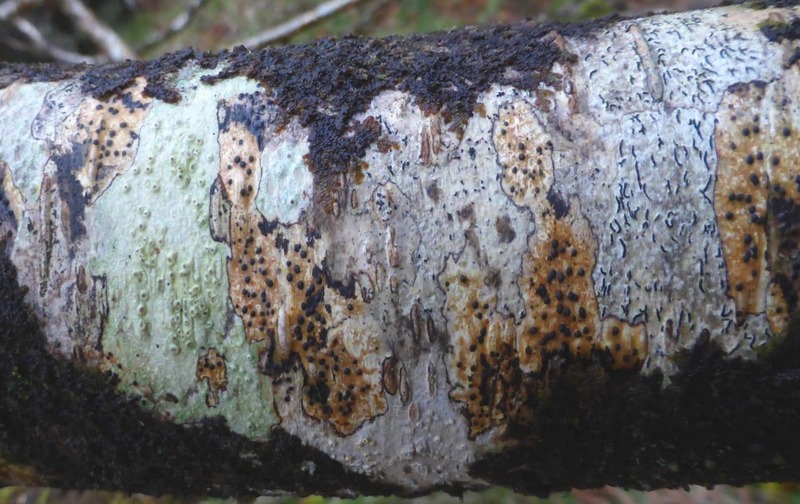 On the afternoon of 19th November 2017 we turned our attention to the lichens on these Cnoc nan Each hazels. 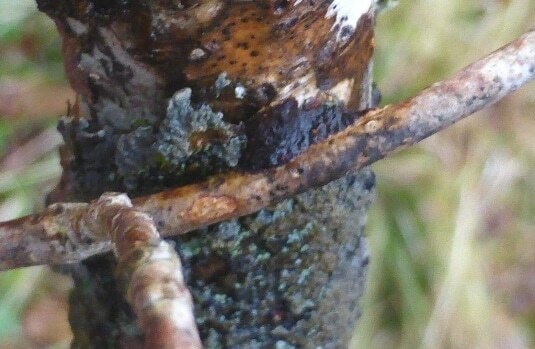 Many of the trees in the main body of the woodland, above the track to the old house, are very old, with huge trunks but a limited amount of regrowth. 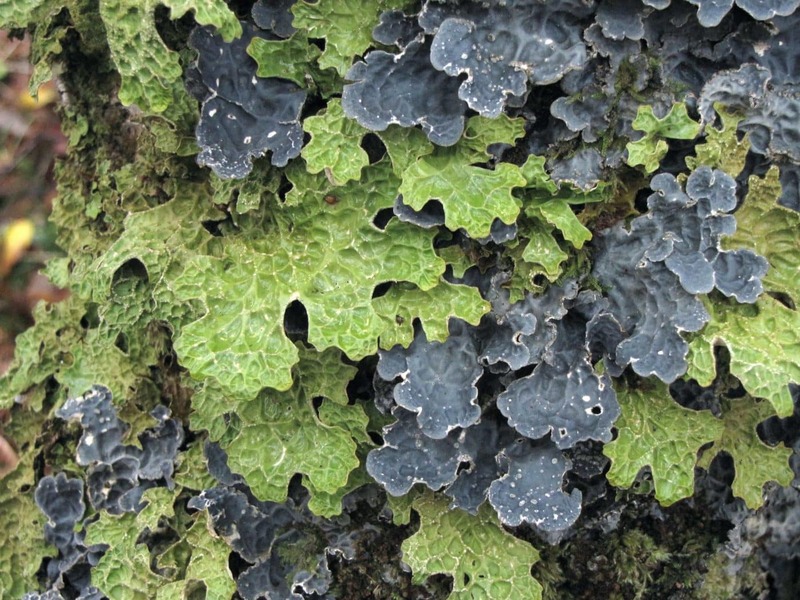 They are also quite shaded, so the vegetation on them is often dominated by liverworts and mosses. 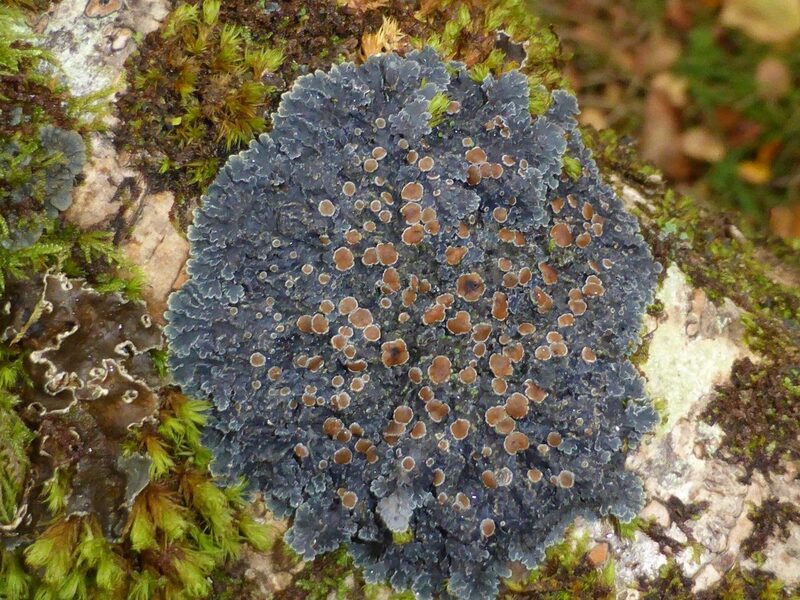 However, we did find a good selection of those typical of such woodland, with larger foliose species such as Degelia atlantica, Nephroma laevigatum, Pannaria rubuiginosa and Sticta sylvatica overgrowing the bryophytes. 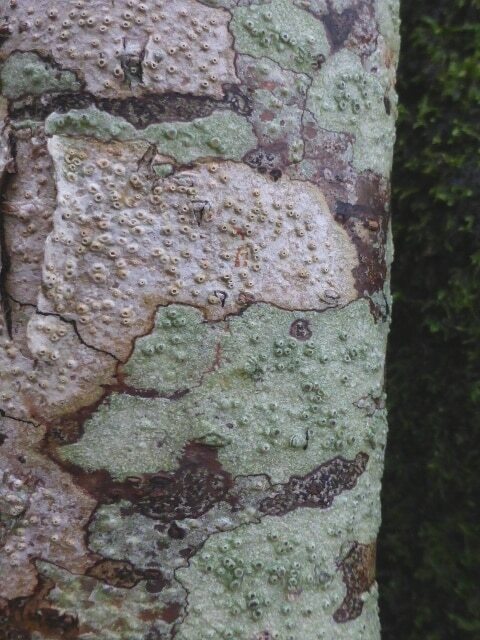 On the smooth bark of younger branches were some of the smaller crustose species, such as Graphis scripta, Pyrenula macrospora and Thelotrema lepadinum. Others await attention by someone more expert than us. 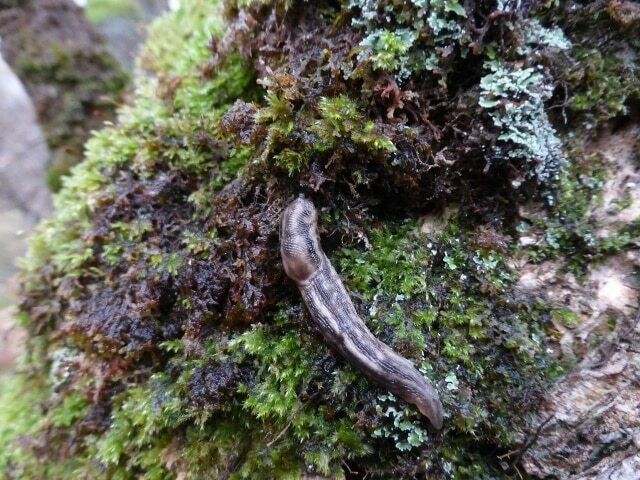 Other interesting finds on these old trees were a small specimen of the glue fungus Hymenochaete corrugata and the tree slug Lehmannia marginata. 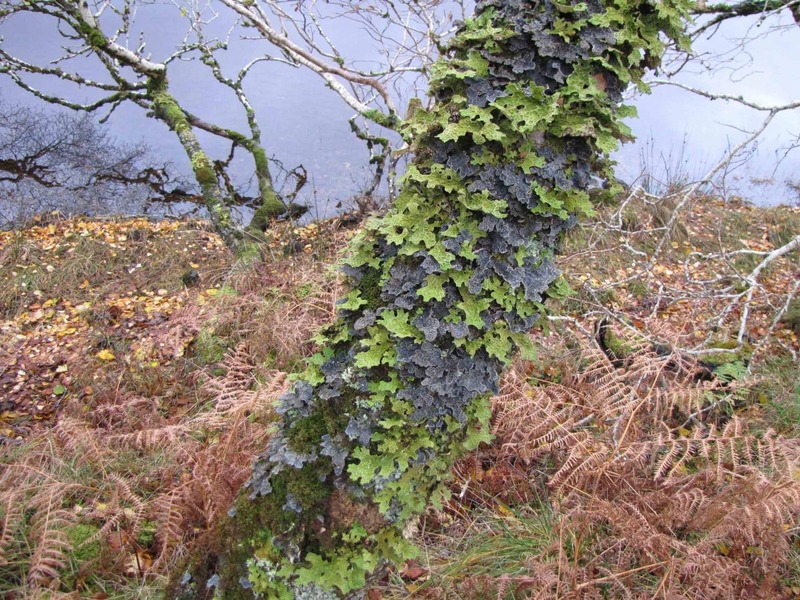 On the lochside below the track there is a group of smaller hazels with well-lit trunks bearing a magnificent covering of two of the largest of the foliose lichens Lobaria pulmonaria and L. scrobiculata. 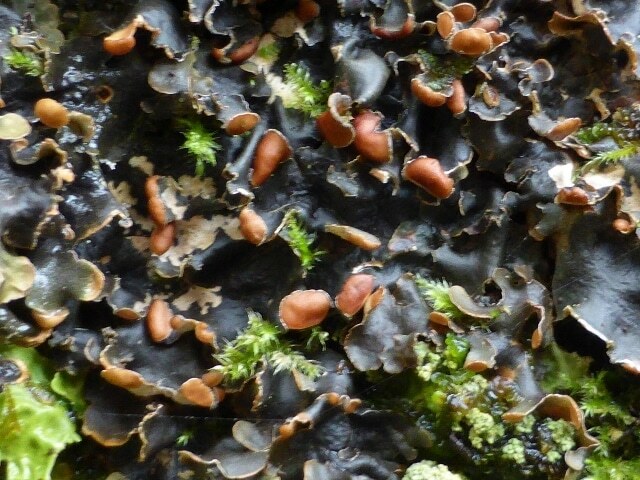 These were found on the more shaded trees, but not in such quantity.